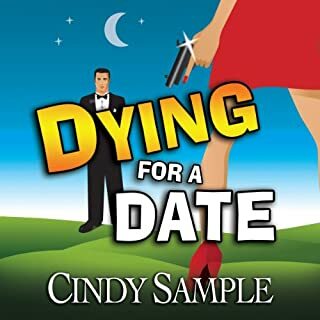 If you could sum up Dying for a Date in three words, what would they be? This book is funny, smart, and entertaining. My experience with crime fiction is limited, so to find a book of this genre that is also funny was a surprise. While the coincidences of the criminal events are quite imaginative, they are grounded in real-world events that make them quite believable. The best part of the story is Laurel. Another reviewer used the perfect word: zany. Her Lucille Ball style antics kept me laughing out loud while her initial naiveté about the events around her were endearing. My favorite scene is at the beginning where she runs onto the field to defend her son from the bully on the other team. So clueless! That could have been me. I raced through this book and would have loved to have the time to finishing it all at once. I don't usually listen to books on tape on car trips, because the voices start to sound the same and lull me into a dangerous sleepy mode. The narrator for this book, however, had a great lively voice, that kept things interesting, without overplaying it. Perfect for the title. I hope to hear more from her.